Now in its fourth year running, the project unites four radio stations in Durban, with the aim of helping to scope the economic future of the Zulu Kingdom by promoting the province to potential investors and tourists in the continent. Representatives from Phoenix FM from Lusaka, Zambia and Star FM from Harare, Zimbabwe have flown in to Durban to join East Coast Radio and its sister station, Jacaranda FM, to experience what KZN has to offer. The stations collectively broadcast to an audience of 13 million listeners. Connecting Africa is also a learning exchange programme; a chance for the four radio stations to share intellectual property and cement cross-border collaborations. Connecting Africa provides Tourism KwaZulu-Natal with the platform to market and promote the destination to our key domestic markets namely KwaZulu-Natal and Gauteng and the SADC markets of Zimbabwe and Zambia with the aim of showcasing our tourism offerings within the province, says Boni Mchunu, General Manager : Marketing at Tourism KwaZulu-Natal. It further enhances our efforts to increase tourist arrivals and encourage visitors to experience the diverse regions within our exceptional Zulu Kingdom. Our intentions are to maintain and sustain the relations among key role-players within the tourism sector created by the launch of the direct flight route by SA Express from Lusaka in Zambia and Harare in Zimbabwe to Durban in 2012 and 2013 respectively. The teams from Star FM, Phoenix FM and Jacaranda FM will experience a range of business and tourism-related offerings during their stay in our province, with visits to the KZN Midlands, along the north coast to St Lucia and then back in Durban for experiences in and around the city. 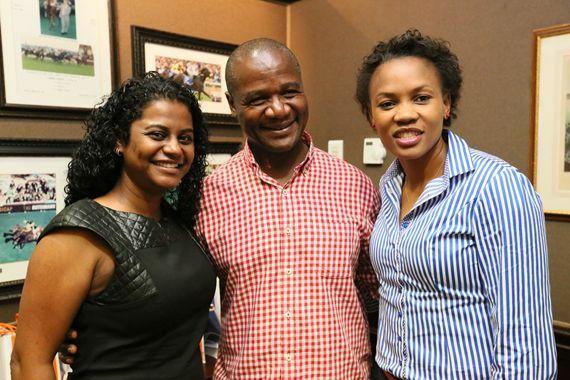 Connecting Africa rounds off with live broadcasts by the teams on 11 & 12 May 2015 to their respective audiences in Zambia, Zimbabwe and Gauteng, where their experiences in KZN will be relayed to a collective audience of 13 million listeners.